Got a case of the winter blues? Sounds like you could do with a makeover to put the spring back in your step! Let us show you some of Fortitude Valley’s top makeover specialists to reinvigorate your look from head to toe. First things first, if your hair is feeling a bit unruly, you'd better get into the salon pronto! Whether you're a lovely lady with luscious locks, or a dashing dude with a slick blade 'do, the Valley has plenty of places to get your hair looking more fab and less drab. For the ladies, you can’t go past WINNston Hair. 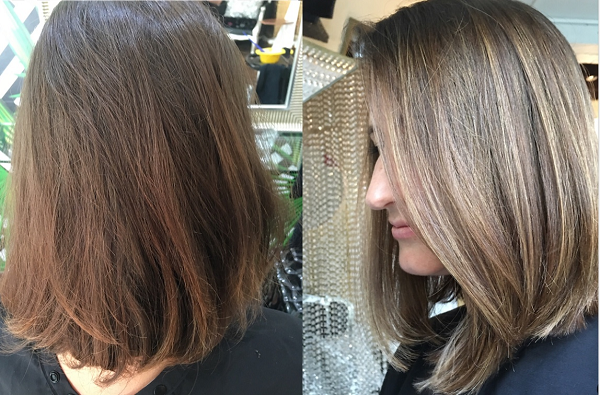 Led by talented hairdresser and colourist Monica Brouff, WINNston Hair is a force to be reckoned with and are known for going the extra mile to make clients feel fabulous. The team are ready to transform your hair and make it the best it’s ever looked, with an extensive list of colouring, foiling, blow-drying and styling treatments available. Check out their Instagram to see the incredible before and after photos of their clients – the results speak for themselves. Pop in to the gorgeous Winn Lane salon and give your locks some extra love – stat! For the gents, Crown & Co. Barbers are popular around town for their finesse and skills when it comes to fresh cuts and smooth shaves. Drawing inspiration from eras past, the venue gives off some serious rock and retro vibes. Conveniently located on Brunswick Street, Crown and Co. deliver the full old-school experience, with good old-fashioned customer service that is second-to-none. Kick back with a coffee or beer on the house and let the barbers do all the work… you’ll be so relaxed that it’ll feel more like a chill sesh than an appointment! Located in the boutique Bakery Lane precinct, Hearts&Heroes Style is known as the only all over makeover specialist in the Valley. Approaching the 2nd birthday of their Heart Bar in Bakery Lane, the boutique is preparing for a makeover of its own to celebrate! With services across makeup, hair and styling, the team at Hearts&Heroes will have you looking your best from head to toe. The Red Carpet Makeup Service is a must for all occasions, and the famous Blow Wave treatment will transform your locks and leave you feeling fresh and fancy. Let Hearts&Heroes recharge your wardrobe, with custom-made pieces and gowns sure to turn heads, and if you’re chasing a last minute outfit with the ‘wow’ factor, pick up a statement piece from the Empire Dolls clothing rack, with new styles arriving weekly! For a decadent night out, be the belle of the ball with a statement gown from Principessa! Since 2002, the team at Principessa have helped the ladies of Brisbane get glam for all occasions, and with store manager Rocco as your personal stylist, you’ll be red-carpet-ready before you can say ‘prom niiiight’! Step out in style with frocks from designers like Jadore and Bariano, made from luxury fabrics to flatter all body types. In addition to semi-formals and formals, Principessa also stock outfits for special events, weddings, races and black tie occasions, so you can be assured you’ll find exactly what you need, no matter the occasion! We know the cooler weather can have you feeling like a bedraggled sloth-like creature, but with a range of makeover specialists at your fingertips, it’s a no-brainer to head to the Valley to revamp your look pronto!